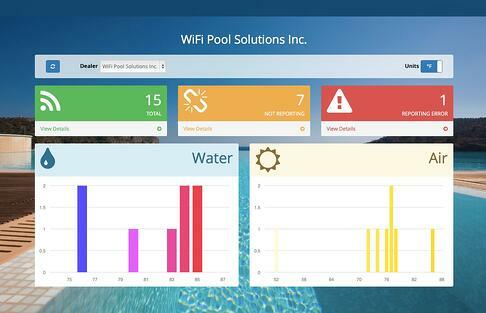 Offer Your Customers The Latest In SMART WiFi Pool Technology! Pool automation is a growing market but there are limited, viable, options for managing older pool equipment and modernizing its control. 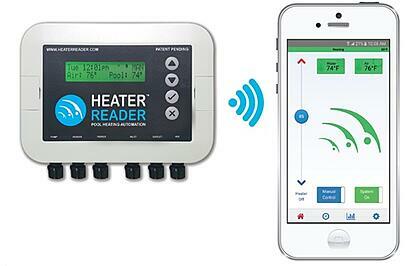 The HeaterReader™ is a SMART wireless device designed for the retrofit pool market. And it isn't just a pool heater timer - It gives pool owners remote access to their heater and pump, using a mobile device or desktop application, without the costly installation and complexity of what is currently available on the market. Custom Schedules 7-day programming means no need for manual operation and saves money! Notifications Notifies owner when heater is running or when something goes amiss! Cost Analysis Our App calculates approximate spending for easy monitoring and peace of mind! Environmentally Friendly Scheduling means that the pump and heater can run less and save energy! Anywhere Access Our App let's owners manage their pool from anywhere in the world. Low Maintenance The HeaterReader™ is virtually maintenance free once installed. Pool Dealers Find Out More! Not only is HeaterReader™ a great product for your customers, it's an excellent opportunity for you to increase your revenues and improve your customer service. With the HeaterReader™ Control Centre, you can monitor your customers' HeaterReaders™ and be the first to know if something has gone wrong. This means no more chaos just before the weekend. You will be alerted as soon as something goes wrong with their heater so it can be fixed right away! *more time may be required to connect the HeaterReader to your pool's pump. If you are interested in purchasing multiple HeaterReader™ units, please contact us for pricing. Interested in learning more about HeaterReader™ and it's multiple benefits?